To transform a flat circle into a filled triangle requires skill and patience, and the last thing I want is for my bakers to have a perfectionist freak-out. So, I like to program a bit of Hamantaschen-folding Practice at Purim classes and parties, even with kids who think they are too old for PlayDo. No one is too old for PlayDo, not ever. With little bitties, we practice on a train table, which is the ideal height and width, and allows for play dough action on 4 sides, simultaneously. Older kids are more comfortable regressing in the relative privacy of a desk or normal table. 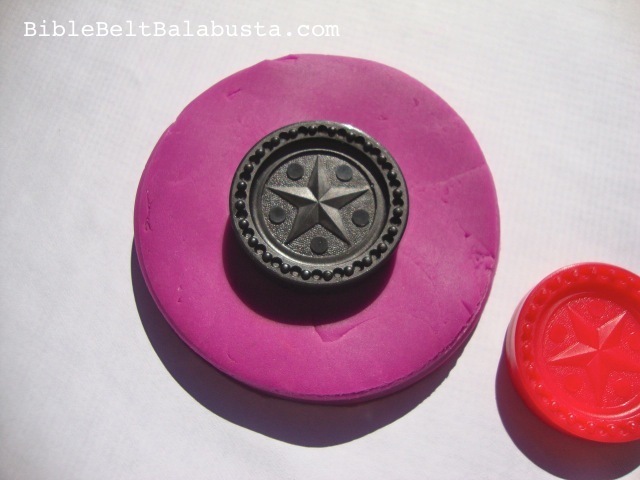 I make or collect lots of PlayDoh, some mini rolling pins (or short lengths of 1.5 inch PVC pipe) to flatten it, and some circle cookie cutters. With a crowd, I use the threaded rings of Ball canning lids as cookie cutters: they are cheap, plentiful, will never cut a child, and because they are rings (no middles), children can push the dough circles to release from above. Print my hastily-made 8.5 x 11″ sign to print and use at a party, program or class, if you wish. Here’s the pdf file: Fold a Triangle. I usually put two copies back to back in a lucite holder in the middle of the PlayDo table. By the way, Hamantaschen Folding Practice makes a great Station at a Purim Carnival. I add Purim-shaped cookie cutters just for fun. 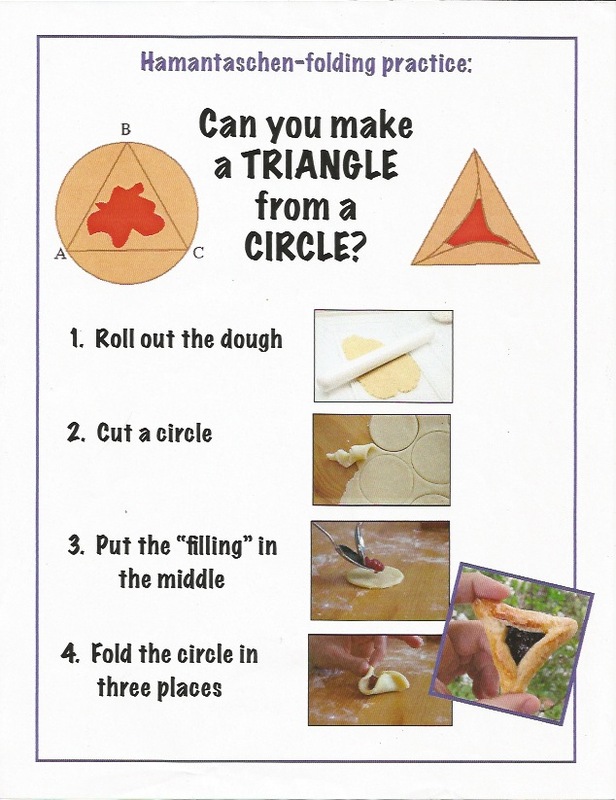 Folding practice (for playdoh or real dough). Click on pdf link in post to print. 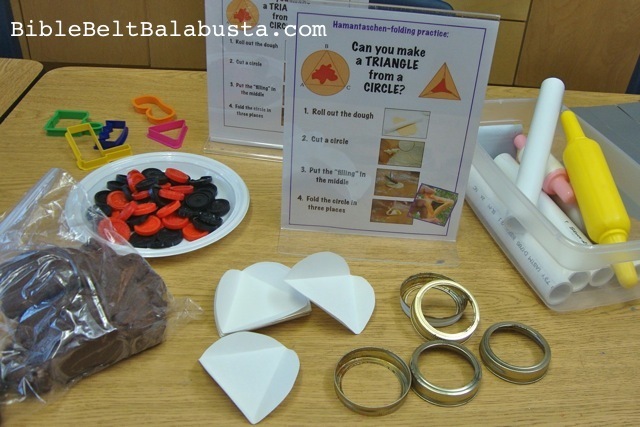 This entry was posted in Activity, Purim and tagged clay, hamantaschen, playdough, polymer clay. Bookmark the permalink.